They both look at the baby. But only one knows what bombshell is about to drop. Imagine yourself in this situation: everything is taken care of, you are ready to make the next big leap in your life, on to bigger pastures. You have a job lined up, an apartment awaiting all your belongings. You are excited as butterflies flutter around in your stomach. But then, suddenly, the unthinkable happens and everything falls through. You’re homeless and must wander the streets with your baby son, hungry, and desperate for anything to stop his heart-wrenching cries. 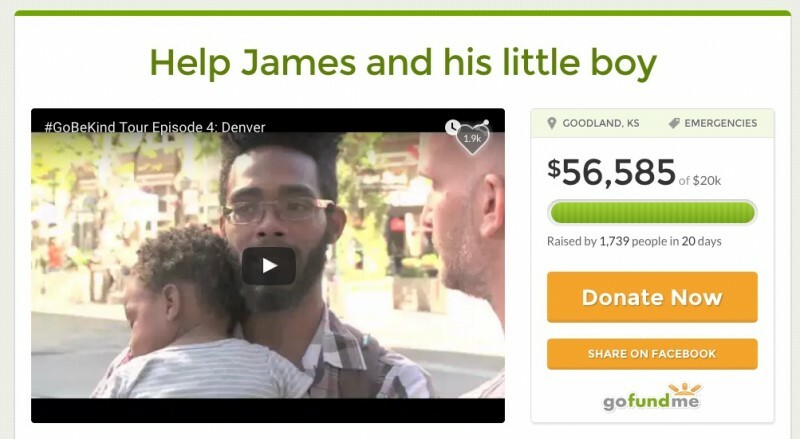 That isn’t where the story ends, however, After setting up a Godfundme website for James, social media kicks it into high gear: within 24 hours people all over the world give $15,000 dollars to the desperate little family. 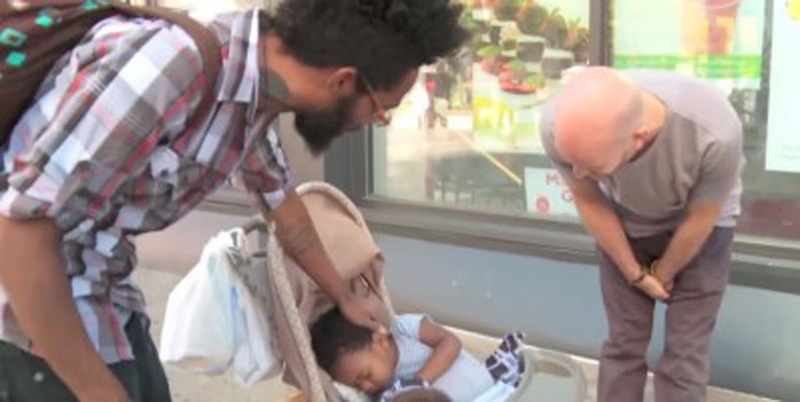 Money desperately needed to get James and his son off the streets and his son into daycare for when the hard-working father must work. The sum has, in the meantime swelled to an astounding over $50,000. “Anyone can easily end up in this situation,” says James and that is so true. It is important to remember that everyone falls on hard times. In just 2 weeks, James himself has gone from being homeless himself, to feeding, clothing, and caring for others. James’s story shows that one small act of kindness can create a ripple effect that may help others all over the world. Sometimes all one has to do is reach out and help. So SHARE this story so that others know that making a difference starts with one small act of kindness.